For years, the conventional wisdom about diet has been that we get fat because we eat too many calories. Gary Taubes, the enfant terrible of nutrition writing, has long been making the case that that’s wrong. In his newest book, The Case Against Sugar, he argues that it’s actually the sweet stuff in our food that’s the most probable cause of the parallel obesity and diabetes epidemics today (as well as contributing to heart disease, cancer, stroke, high blood pressure, and even dementia). Sugar, he argues, is making us sick. It’s making us fat. And it’s “very likely” toxic. Taubes is no stranger to pushing controversial ideas about nutrition: He has championed the high-fat, low-carb diet — an approach scientists are fervently debating but one that has already had a big impact. (As Michael Pollan put it: “I can’t think of another journalist who has had quite as profound an influence on the conversation about nutrition.”) He built his reporting career on being skeptical of the research community, particularly researchers in nutrition science. In 2012, he moved into advocacy by co-founding a nonprofit, the Nutrition Science Initiative, with the aim of supporting high-quality nutrition studies to give us firmer answers to questions like the ones he explores in the book. But the NuSI work has been more difficult than Taubes anticipated, and he has attracted criticism for what some view as reductionist arguments and cherry-picked science. In his new book, even Taubes acknowledges that his case isn’t ironclad. But he sees sugar as the primary suspect. And “when large numbers of Americans are dying from diet-related diseases, leaps of faith can be justified if the odds seem good that they will save lives,” he writes. I talked to Taubes about how we got so hooked on sugar, why he chose to single it out in a junk food–filled landscape, and what he’d like to tell policymakers and his critics about his case. Our conversation follows, edited for length and clarity. If you ask the question, “What would we be if we had never consumed sugar?” I can’t answer it. That’s where that line comes from. Because the evidence for effects passed on from mother to child in the womb is compelling. You can see this particularly clearly when you look at Native American populations like the Pima Indians — populations that go from being relatively isolated to completely Westernized in a very short period of time. You see these dramatic generation-to-generation changes [in diabetes and obesity]. 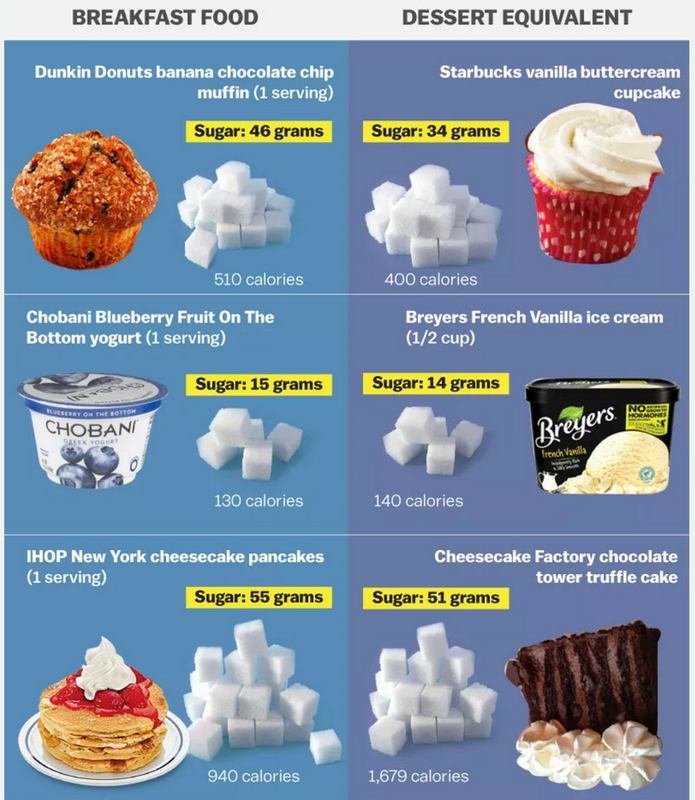 What would have happened if they never consumed sugar, or if they never had any more than a few pounds of sugar per capita [in a year]? I can’t tell you what the population would look like or be like, but I would bet that it would be significantly different than what we see today. 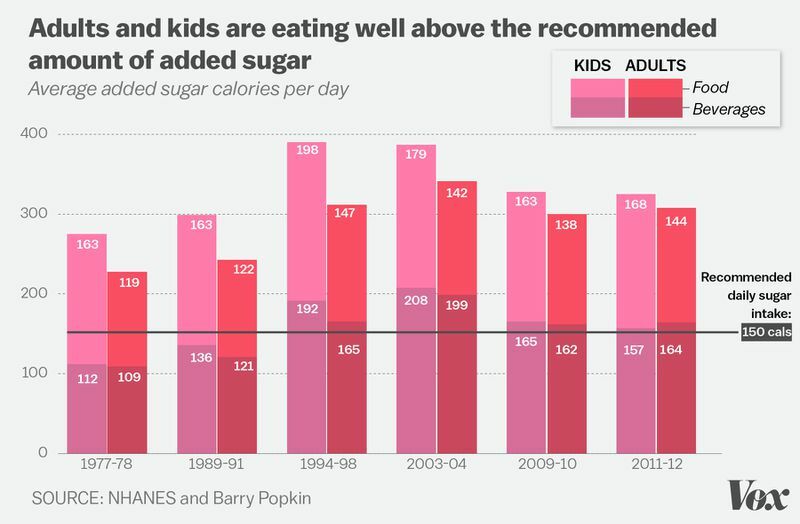 When did our sugar consumption get out of control? 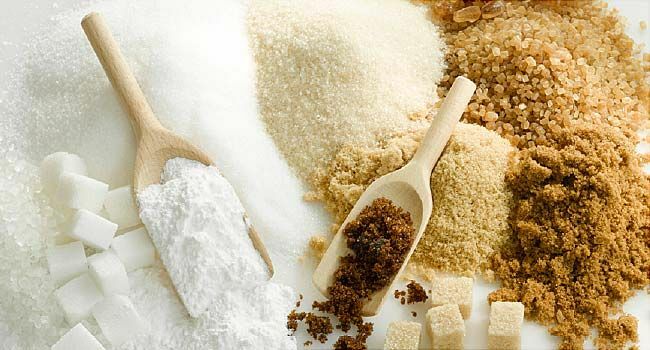 Sugar consumption exploded in the 19th century, and particularly the second half of the 19th century, with the launch of the beet sugar industry, which continued the process of reducing cost that was started by the Industrial Revolution, and the creation of the candy, ice cream, chocolate and soft drink industries beginning in 1840s. By 1920, already 100 pounds of sugar per capita [is being consumed] in this country [annually]. But there are still two more waves to come in the form of fruit juice, which more or less becomes a staple of American diets beginning in the 1930s, and then the sugary cereal industry, which cranks up in the late 1940s. By the 1960s, you can say American breakfasts have been transformed into desserts, in effect. The most recent increases in sugar consumption began in the late 1970s. It was sparked by two phenomena: One was the low-fat movement, which had the paradoxical effect of bestowing a generally benign reputation on sugar. Plus a whole world of low-fat products appeared on the super market shelf that often removed a little bit of fat from the product — yogurt is the iconic example — and replaced the fat calories with some variation on sugar. The second phenomenon was the introduction, at the end of that decade, of high-fructose corn syrup [HFCS]. By the mid-1980s, HFCS had replaced a good part of the sugar we consumed, particularly in sugary beverages. With HFCS in the mix, our total caloric sweetener consumption — technically the amount the industry makes available — increased from around 110 pounds per capita [per year] in the late 1970s to over 150 in 1999, when it peaked. This was a lengthy process, driven by the ever-decreasing cost of sugar. In the 13th century, a pound of sugar would have cost the equivalent of about 360 eggs. Today it’s the equivalent of two. People eat too much sugar today, and that’s bad for our health — there is no argument against that, really. But our diet and lifestyles have changed in a lot of other ways in the last 50 years that may have contributed to obesity. There are plenty of cheap, convenient processed foods packed with calories — but no sugar — that people are overconsuming. So why single out sugar? We want to know what causes those epidemics [of obesity and diabetes], because they’re out of control, they’re happening all over the world, and they’re devastating health care systems. As the World Health Organization director general put it, these are “slow-motion disasters.” Public health authorities have no clue how to stop them. That’s what we are trying to figure out. So what’s causing these epidemics? There are two conventional answers. One is that these are multifactorial complex diseases. It’s a perfect storm of factors that come with Western living — processed foods, sleep deprivation, not enough exercise, and a dozen other factors. The other answer is that we’re eating too much and exercising too little. I’m saying there is another simple hypothesis. I am a huge believer in Occam’s razor, which says you cannot make progress in science without beginning with the simplest possible hypothesis, and you only reject that simple hypothesis because you have no choice. So here the simplest hypothesis is sugar, and there’s significant evidence, both circumstantial and direct, to implicate it. If you ask the question, “Why not sugar and refined grains?” particularly considering my other books, the answer is simple. Well, largely because of Southeast Asia — an entire continent of people who consume a lot of refined grains [i.e., white rice] and had low levels of obesity and diabetes until, like everyone else, they start eating a Western diet. Science is about explaining observations, and that’s an observation that requires explanation. One possibility is that I’m just wrong about the carbs. A second obvious possibility is that it’s the sugar, because these are populations that have, again, until recently, consumed exceedingly little sugar. And then, of course, there’s a host of other possible explanations as well. If we removed sugar from our diet, do you really think all the diet-related diseases we are suffering from would simply go away? That’s another issue. No, I don’t. I think we would curb the epidemics [of obesity and diabetes]. But two questions get conflated here. One is what’s causing the epidemics — what’s the dietary or lifestyle trigger, because there must be one, or more. Another is what do you have to do for people who are already afflicted with these disorders and diseases to make them healthy again. The argument for the cause — to me, it’s sugar first, followed by highly processed grains second. But now you’ve got the second issue: You’ve got a whole world of obese and diabetic people, and I’m confident that many of them don’t eat sugar anymore or highly processed flour — they’re suitably health-conscious — and yet they’re still obese and/or diabetic. I’m not willing to assume everyone who is obese and diabetic is an unhealthy eater. So the question is whether there’s a dietary intervention that will work in a great majority of those people. I happen to believe that low-carb, high-fat diets are the best medical intervention, but clearly that’s open to quite vitriolic debate. If we took sugar out of the food supply, what would we replace it with? Now that’s the issue — that’s what makes sugar so difficult. Should you replace it at all, and if you replace it with artificial sweeteners, are you doing just as much harm or at least some harm by doing so? Plus, sugar is extraordinarily useful in food preparation for reasons other than sweet taste, and that might be more of a challenge. So one question is whether we have to replace sugar in sugary beverages. Can we just drink water instead? Another question is what do we eat to replace the sugar calories, assuming we’ll be hungry otherwise, which gets into a world of issues about what we mean by replacing calories and overconsumption. Clearly people can eat more of foods without added sugar and do fine, because we did that, for the most part, throughout all of human history until just a few hundred years ago. In the perfect world, what does the food landscape look like? The outside aisles of the supermarket would dominate, and the inside aisles would shrink down. You get rid of what Michael Pollan famously called the “food-like substances” and eat real food. Rare is the diet doctor — from Ornish to Atkins — who doesn’t recommend avoiding packaged and processed foods. Some huge proportion contain sugar, and by avoiding them — sugary beverages, snacks, and candies are also in these aisles — you’re avoiding most of the sugar. But that’s also wishful thinking because it also means we’d all have to go back to cooking our own meals, and that’s a luxury many of us can’t afford. So I’m hoping for a landscape in which we know for sure what foods or macronutrients are driving or triggering obesity and diabetes, and then a food environment that includes packaged and processed foods but excludes whatever that triggering ingredient is. If it’s sugar, as I’m arguing, we can make foods without it, but we’ll have to recalibrate our tastes to do so. Are you really arguing that everyone should aim to eliminate sugar from their diets? What about all the people who have tried and failed to cut out sugar in their diets? Or all the people for whom moderation works well, and who live very long and healthy lives with some sugar in their diets? There is huge variability in how people respond to food, and for some — myself included — going cold turkey is counterproductive. This gets back to my point about smoking. If I’m right about sugar, then it’s more harmful ultimately than smoking. And now I’m going to assume that my experience with smoking is relevant to at least some significant portion of humanity and their experience with sugar. When I smoked, and I suspect this is true of every smoker, I couldn’t imagine my life without it. Smoking, too, was integrated into every aspect of my life, a component in every emotion I experienced. But when I decided the harm outweighed whatever benefits there might be, I committed myself to quitting, and I tried to quit effectively every day. If I were to fall off the wagon tomorrow and smoke a cigarette, I wouldn’t just assume I’m going to go back to smoking. I would hope that the day after I would once again wake up with the resolution to quit. I assume the same is true for alcoholics and drug addicts who fall off the wagon. But with sugar, we swear off it, and then we slip and binge and we forget we ever tried or that the benefits of not eating sugar might outweigh the benefits of eating it. I just don’t get that attitude. If it is as bad for us as I, for one, think, then you fall off the wagon [and] you get back on the next day. And the same logic holds. The fact that some people clearly tolerate sugar, if not thrive on it, is simply not evidence that those of us who are obese and/or diabetic didn’t get that way because of the sugar we, or our mothers, or our mothers’ mothers consumed. Where does whole fruit fit into your case against sugar? Or carrots, which are also high on the glycemic index? Is fruit okay for people to eat? The fructose component of sucrose and high-fructose corn syrup — also known as fruit sugar — is what makes sugar sweet, fruit sweet, even white bread in the US taste sweet. Again, the conventional thinking is fruit is healthy, full of vitamins and minerals. But if you take fruit and turn it into a fruit smoothie, you’ve increased the glycemic index of the fruit, the speed at which you can digest it, and the amount of sugar from that fruit you can consume in one sitting [because you’ve broken down the fiber]. So if you believe, as the conventional thinking has it, that a food is beneficial if it has vitamins and minerals attached, then the smoothie is good for you for that reason. The same logic allows us to justify giving chocolate milk to our kids, because the chocolate entices them to drink the milk and then they get the calcium and vitamins in the milk. The flip side, the other paradigm, the one I happen to believe in, is that the sugar in the smoothie or the sugar in the chocolate milk does more damage than the vitamins do good. And by that logic, even an apple may not be a good thing. And while it might be fine for someone who’s lean and healthy, it may very well not be for people predisposed to gain weight easily or who are already obese and/or diabetic. There’s been a push in the nutrition community to move away from singling out and vilifying nutrients and focus instead of eating patterns. Your book goes in the opposite direction. Focusing on eating patterns is a way of approaching the problem that violates Occam’s razor. Moreover, it doesn’t answer the question we want to answer. Remember, what we need to explain is what caused the obesity and diabetes epidemics. Only by knowing what the trigger is do we know what has to be removed to begin to solve the problem. So if we have a population of Inuit, say, in which every other adult is diabetic, and we do, they didn’t get that way because they didn’t eat a Mediterranean diet. And the same is true effectively for every other population with high levels of obesity and diabetes. When we think about eating patterns, we’re thinking about what to tell people to eat, regardless of their culture, that might make them healthier. And that might be true, although we don’t know if eating a Mediterranean diet is inherently healthier than eating some other diet relatively absent refined grains and sugars, because those studies have never been done. If we want to know what caused these epidemics, we can’t look at eating patterns. We have to ask what’s added to every or any eating pattern that triggers obesity and diabetes, because that’s what we’ve witnessed worldwide. We have to identify the cause. When looking at the cause of obesity and diabetes, sugar is at least a prime suspect, if not theprime suspect, and that’s why I wrote the book. You acknowledge in the book that the scientific case that sugar is the main driver of the obesity and diabetes epidemics isn’t ironclad, and, as someone who has thought a lot about the importance and value of the scientific process, I wondered if you’re concerned about putting rhetoric ahead of the science here. You didn’t present this as one hypothesis among others; you presented your data like a lawyer prosecuting a case. This is clearly an issue. I can imagine some members of the anti-sugar movement thinking I did the argument and the movement a disservice by making such a statement, and members of the calorie-is-a-calorie crowd who will insist I did science a disservice by writing the book. It’s a tightrope that has to be walked between making the argument that I believe, from my research, has to be made and not acting as a scaremonger. So while prosecuting a case, I also tried to be rigorously honest about what I believe the evidence does and does not allow us to say. Whether I’m scaremongering, I suppose, is only something that can be established in retrospect, if the research is ever done to establish definitively whether I’m right or not. What would you like to tell policymakers? Since you are basically arguing that sugar is toxic and that we should treat it the same way we do tobacco and alcohol, do you think sugar should be more heavily regulated? I don’t like the idea of regulation. If regulators feel the evidence is sufficient to go after my sugar, they might decide next week that [the evidence] exists to go after my pastrami. And I’m one of those people who happen to think pastrami is healthy. Still, I wrote my book in part to help drive the policy discussions and get them away from the “empty calories” arguments that have dominated for the past century. If policymakers do decide to regulate sugar, at least, I think, they’ll be doing it for the right reasons. I live near Berkeley and Oakland and have seen them pass sugary drinks taxes, and I’m still not sure if they’re beneficial because they raise the price of [soda] or because they make people think more [about the health effects of sugary drinks]. On one hand, though, this just isn’t my area of expertise. On the other, I worry about unintended consequences of the taxes, and I’d like to see better data about their ultimate effects. Still, I voted for the Oakland [soda] tax, so I’m willing to take a chance. I think the first thing is education, which is why I wrote this book. We should understand at least what the stakes are. Education is key, and I don’t see unintended consequences to anyone understanding these issues better and what the stakes really are. But we know that a lot of what influences what people chose to eat is environmental — the glut of sugar that surrounds us. And now you’re essentially leaving it up to the individual here, saying that he or she needs to self-regulate. People know sugar is bad, but we still eat it all the time — so do you really think education is the answer? Good point. I think the food environment has to be fixed, as we discussed, such that it’s effectively effortless to buy good-tasting food that has minimal sugar, but you can’t regulate away major sources of sugar — candy bars, sugary beverages, pastries, desserts, etc. So a large part of what we accomplish has to be because of knowledge. Yes, people may know that sugar’s bad for them, but the message up until now has been that sugar is just empty calories, so you can balance it out by eating less of other foods or exercising more. If that’s not true, if sugar is not just empty calories but harmful beyond the calories, then people will have to change the way they think about it. As I say in the book, we all decide as adults how much alcohol we’re going to drink and how many cigarettes we’ll smoke, knowing those are harmful. I think the same will be true of sugar. But it helps to know, with confidence, precisely how harmful it is and whether a 32-ounce bottle, say, of sugary Gatorade is really balanced by the hour sweating on the treadmill that made you thirsty to begin with. You’ve long been a great critic of flawed nutrition research, and you set up a nonprofit, the Nutrition Science Initiative, to support better nutrition science. I know you’ve run into funding issues lately, and disagreements with the researchers you were working with interpreting findings from the work. Are you discouraged? Is doing nutrition science more difficult than you imagined? I could probably write a book just to address all the issues raised by these questions. On the one hand, anyone who tries to do what we’re trying to do — assuming my arguments are correct and so we’re really on the right side of the force and not just quacks — has to expect that it isn’t going to be easy. Anyone who wants to support us financially has to make the decision to trust our judgments about the state of the science and some really fundamental scientific issues over what amounts to the entire research and public health community. And that’s a tough thing to ask of anyone. Even if they happen to think we’re most likely right, they’re going to ask their “experts,” and their experts are going to come out of the research community that we’re implying is most likely very wrong. So their experts are going to be — and rightfully so — exceedingly skeptical, at best, of what we’re saying and hoping to do. We try to get around that by making the argument that we are trying to get the best possible science done and that science is agnostic to bias — as the best possible science always is — but if we’re arguing with the scientists about how to do that science, as we were and assuredly will be in the future, who do you believe? It’s just a hell of a tricky situation. One thing that has been a revelation, and one that perhaps shouldn’t have been, was my assessment of the quality of the researchers we could enlist. In the epilogue of my first book on nutrition, Good Calories, Bad Calories, I pointed out that I never used the word “scientists” in relationship to the individuals who did research in this confluence of nutrition, obesity, and diabetes, with a very few notable exceptions, because I didn’t think they acted as scientists have to act to establish reliable knowledge. I noted that the field lacked a culture of rigorous, methodical skeptical thinking that could produce reliable knowledge, which is what science has to do. I think I even understand why this is. Then we co-found NuSI and assume we can recruit influential researchers who believe something I think is inane — that a calorie is a calorie and obesity is an energy balance disorder — and they’ll still be able to do the kind of first-rate research necessary to rigorously test this potentially inane idea. Well, if I’m right about the inanity of the idea, then this was clearly a mistake in judgment on my part. If I’m wrong about the inanity of the idea, then I can’t trust my judgment in any case, and maybe these researchers really are first-rate. Again, it’s a tricky situation and difficult even for me to know what to believe. In three of my books I quote Richard Feynman’s line that the first principle of science is you must not fool yourself and you’re the easiest person to fool. That’s the challenge, and I’m not sufficiently confident to say I’ve avoided this fate.